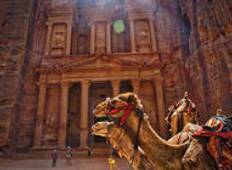 See the top Marine trips that go through Egypt and Jordan. With 23 tours to choose from, they range in length from 12 days to 25. The most popular month for these tours is October, which has the most departures. "Missed out on my trip to Alexandria"
"The trip with Vacations to go travel was very interesting. 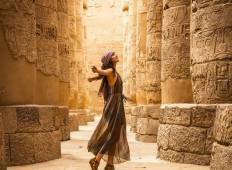 It was inexpensive and..."
"Our tour guide Alam, made my visit to Egypt run smoothly. I was in awe of Alam's..."
"We travelled from Cairo to Jordan and back through the Sinai in 15 days. It was GREAT!..." "Alam did an excellent job! Best tour guide I have ever traveled with. He was fun..."
"We loved our tour guide in Aswan and Luxor region. Very knowledgeable, spoke excellent..."
"I was on the internet for months looking for the tour agency that would cater for..."
"My wife and I had an amazing time. We are both in our 50's and seasoned travelers,..."
"My two teenage nephews and I have just arrived from an 18 days holiday in Egypt and..."